We had 260 tea cosies on display at the Warratina Lavender Farm; everyone who came to see them was asked to vote for their favourite cosy. 97 of the 260 cosies received at least one vote. We all have different opinions so it seems! Congratulations to Jasna Dolic; she is the lucky lady who won the 'Teapots' quilt. The quilt was crafted and donated by Veronique, Peta, Lorraine, Sally, Shirley, and Maxine. Jasna had ticket number 206. She didn't leave a phone number, so, if she doesn't see this online, I'll have to write to her to let her know. 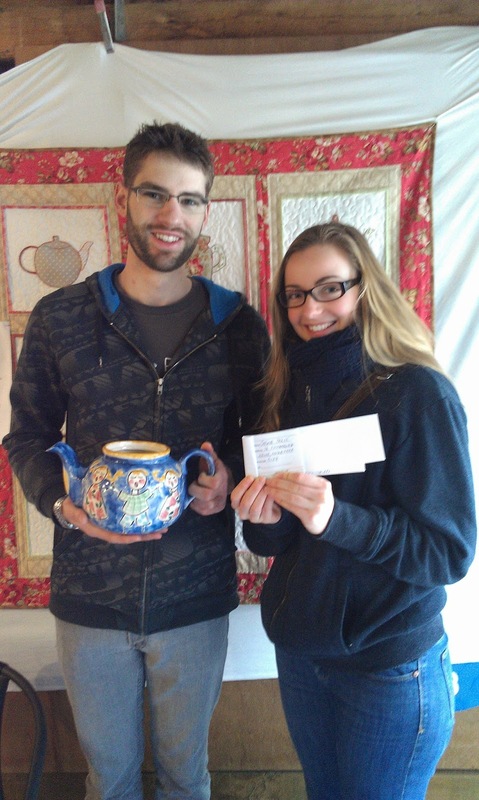 We called on Steve and Tessa, who were visitors to the Tea Cosy display at the Lavender Farm, to draw the winning ticket number (from a teapot of course!). 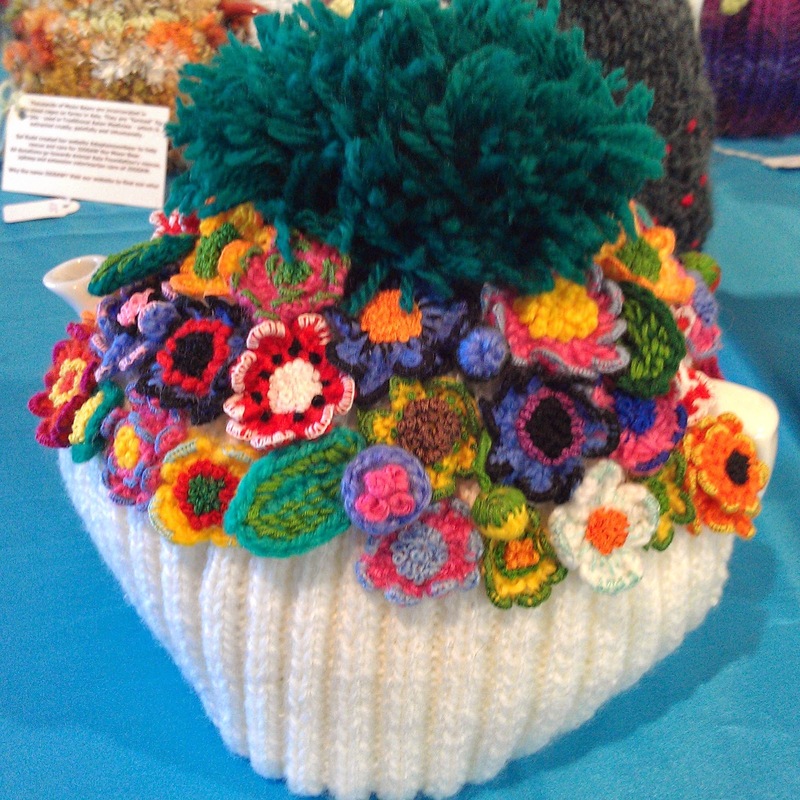 The Tea Cosy display is in full swing at the Warratina Lavender Farm, open from 9am to 4pm. This Saturday and Sunday are the last 2 days. So far, $2950 has been raised for the Cancer Council. http://vic.cancercouncilfundraising.org.au/craftacure is the website where donations can be made. 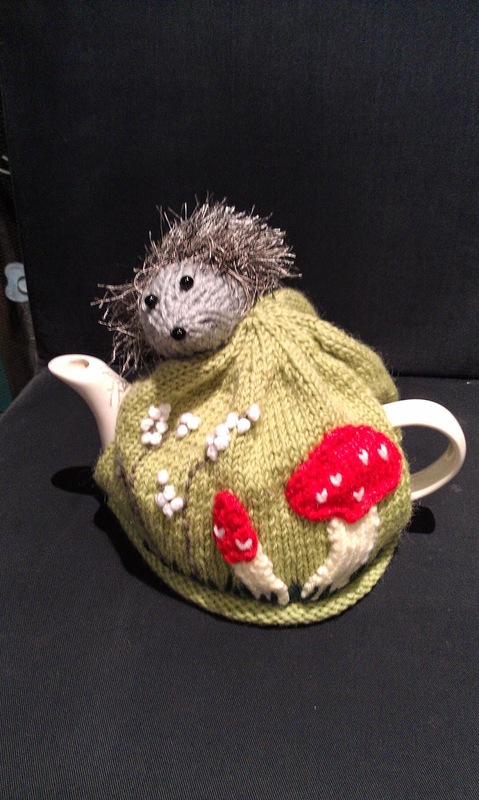 The People's Choice voting has the crocodile stitch tea cosy still in the lead, with the Teddy Bears' Picnic in second place, and the hedgehog in third. Two more days of voting to go! 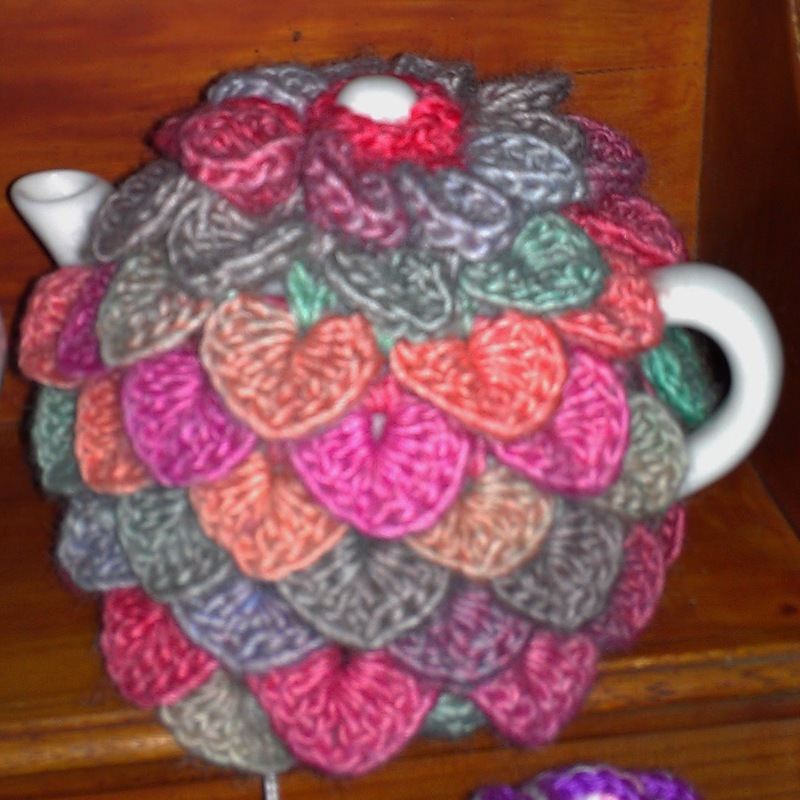 The Tea Cosy display is currently on at the Warratina Lavender Farm, 105 Quayle Rd, Wandin Yallock. On a cold, wet, winter's day, we had a steady stream of visitors, who had an enjoyable day out. We sold lots of tea cosies, which people will either pick up or receive in the post, after the 13th July, when the display ends. We raised over $700 for the Cancer Council on Day 1; a great result. 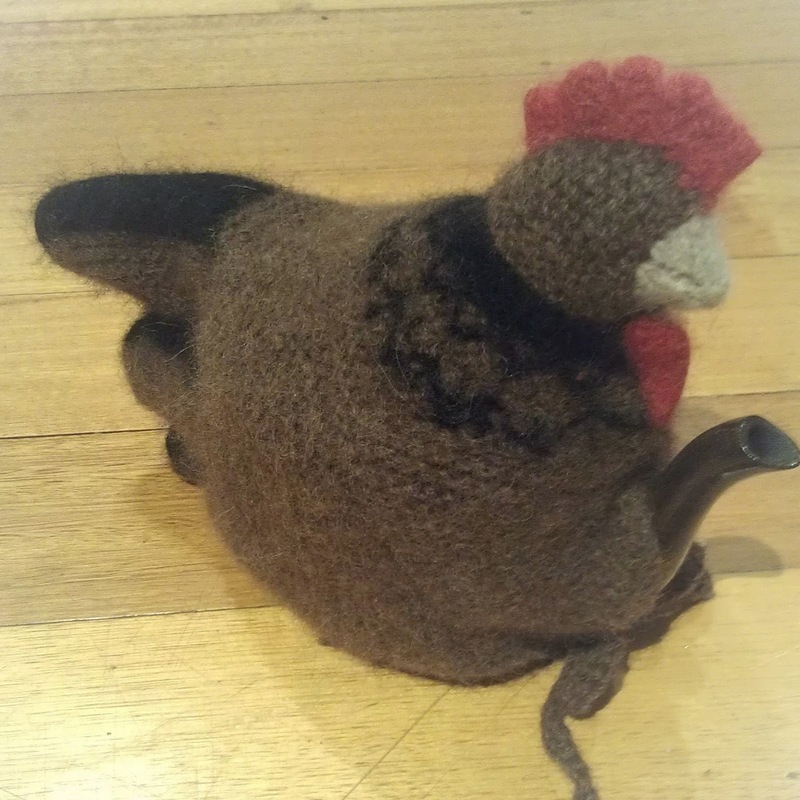 Barbara Joyce with her winning chicken tea cosy. Congratulations Barbara! Mary Abdulla's 'Bride and Groom'. Very imaginative! 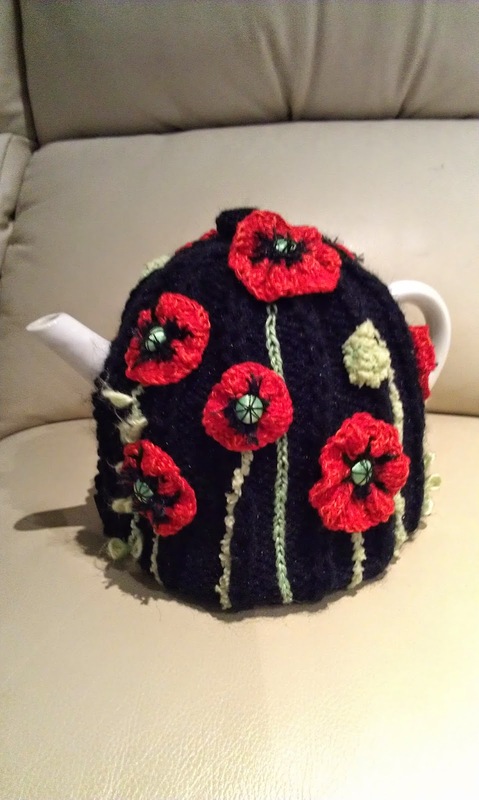 Some of the Red Hat Society entries, and some Remembrance Day poppy tea cosies. The Lavender Farm has a delightful tea room; lunch bookings can be made on the phone number above. Come and see all the lovely tea cosies. The tea cosies are for sale. All proceeds go to the Cancer Council. We have to keep the display intact for the nine days of the display; you can purchase any tea cosy, and we'll post it to you after 13th July, or you can collect it from the Lavender Farm. A BIG 'THANK YOU' TO ALL WHO HAVE MADE TEA COSIES FOR THIS EVENT. 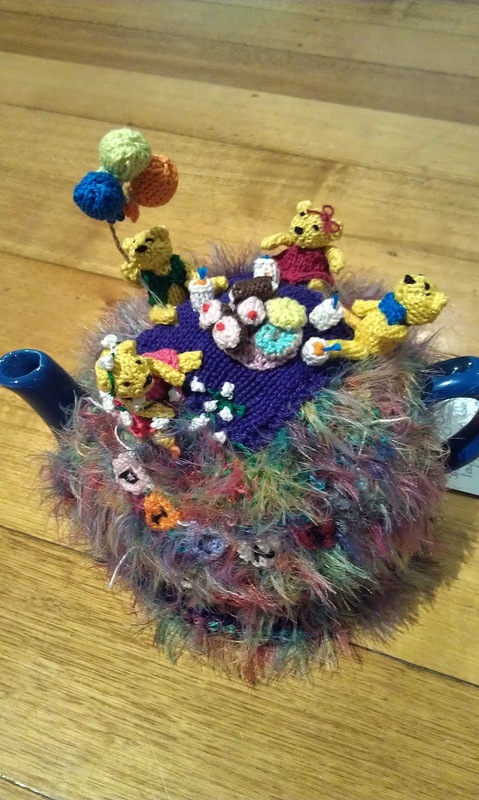 This is the story of the Tea Cosy Competition winner. The magical powers of the humble chook were at work once again; please read the story below; the judges were unaware of this until after the chook won. Quite extraordinary! 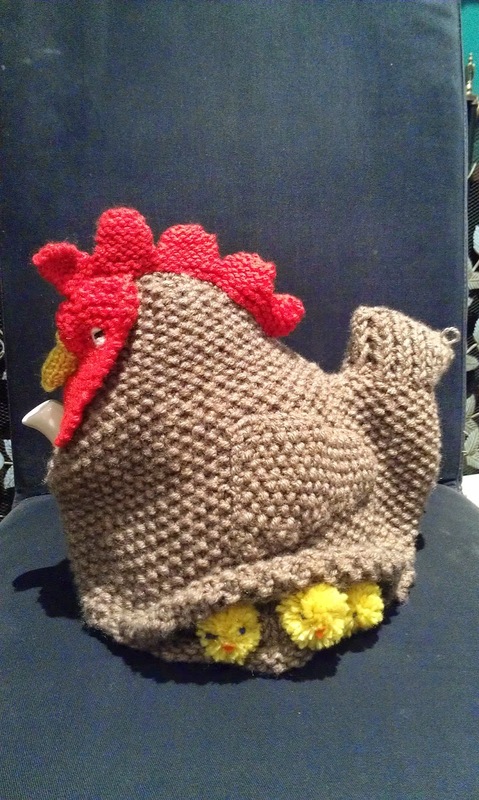 Congratulations to Barbara Joyce of Strathewen for her chook cosy. After the Black Saturday firestorm, 29 people lost their lives in Strathewen. Residents were traumatised at the loss of friends, neighbours and the black destruction that surrounded them. For three years after this tragedy, Barbara Joyce, an art therapist, organised a group of local the women to undertake a project for the children of Strathewen who had lost their school in the firestorm. Each Primary School age child was asked to colour in a drawing of a chook and then the women undertook the knitting of a life size chook. The unique drawings featured stripes, flames, dots and patterns, often in the colours of the recovering landscape. Barbara gave the children a questionnaire to fill in after 3 years and they all said that their chook slept with them in their bedroom. This project brought children comfort, nurtured close friendships between the women, fostered connections within the community, assisted the recovery process and reminded everyone that they could laugh again. The chooks were an ice-breaker and a way for people to start connecting again. The project was not contained to just children. Chook envy gripped the local community and proved quite contagious. People tracked down the pattern and wool, and all sorts of chooks started emerging. Many chooks were knitted for bereaved people to add a smile and comfort to their lives. Barbara sees the hen as an ancient symbol of regeneration and rebirth and when the world turned black, the humble chook found its way into everyone’s heart.